4,096 is the possible number of combinations of this painting. 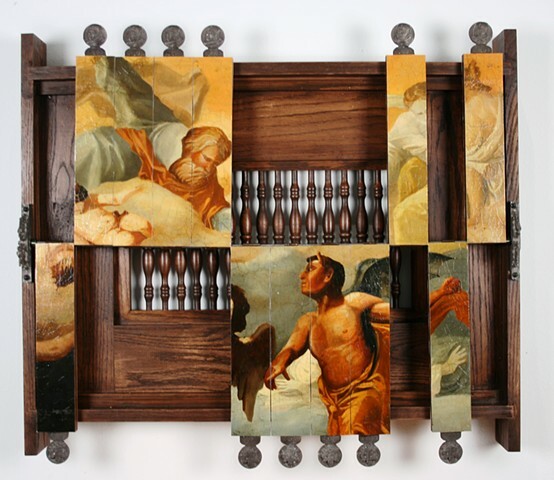 Each wooden slat flips to reveal a portion of heaven or hell after Corrado Giaquinto's painting Satan Before the Lord. The handles on each slat are cast metal coins of pope Leo X.